With the introduction of new Common Core State Standards, teachers and administrators can concentrate on helping students develop the ability to collaborate, create, communicate and think critically. There is growing recognition that strengthening students’ social and emotional skills is essential to developing those abilities, and thus critical to success in school, the workplace, and in life generally. • develop confidence about learning. 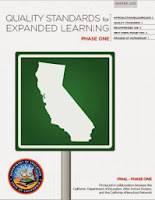 This work by California’s expanded learning community is guided by new Quality Standards for Expanded Learning. The state is using these standards to inform its decisions about program funding, and schools, program providers and parents can use them to identify high quality programs and practices. A robust after-school and summer strategy helps ensure that all children are developing the social-emotional skills they need to function well in the classroom. It also adds at least 740 hours to the 1,080 hours of school year learning. That extra learning time is not a luxury. The research on summer learning loss, for example, documents that the failure to use this time well has significant negative impacts on children, particularly those whose families cannot afford to pay for camps, trips, and other enriching activities. 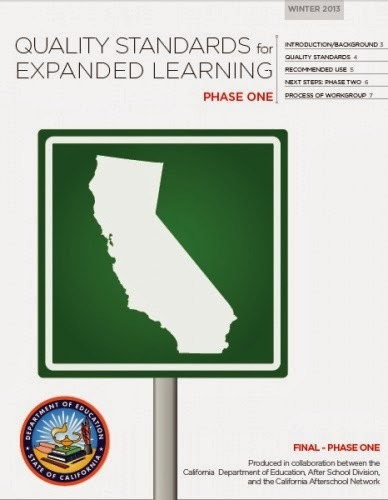 California has more than 4,500 publicly funded expanded learning programs, most of which are located in schools in our state’s lowest-income communities. These programs add great value to the work of schools, but too often work in isolation. As a recent Partnership for Children and Youth report documents, when schools think outside the classroom and develop partnerships that expand the day and the year and offer opportunities to learn in different ways, kids benefit. Let’s use this additional learning time to make sure all children have the social-emotional skills they need to thrive in school, work and life.